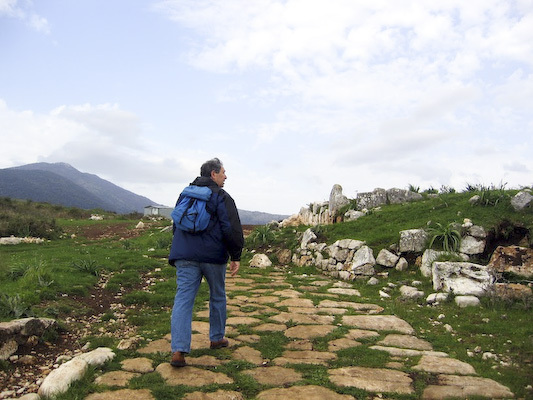 Heading south from Rome, the Appian Way makes a fifty-mile beeline to the seaport town of Terracina. 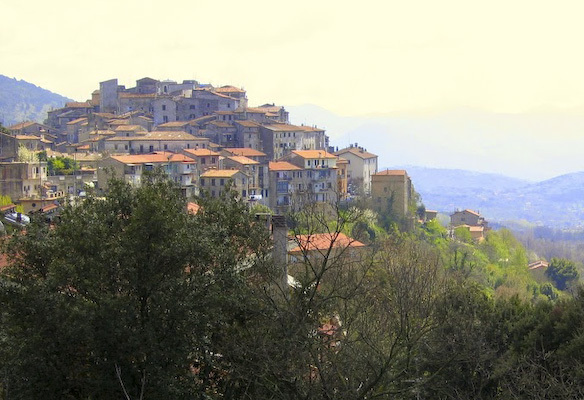 Along the way, rugged mountains crowd in from the east, with the ancient towns of Cori, Norma and Sermoneta dramatically perched at their edge. 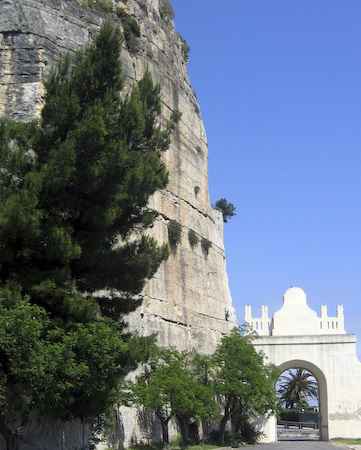 At Terracina the mountains reach the sea, blocking the way. So the road had to go up and over – a major nuisance for horse-drawn traffic. 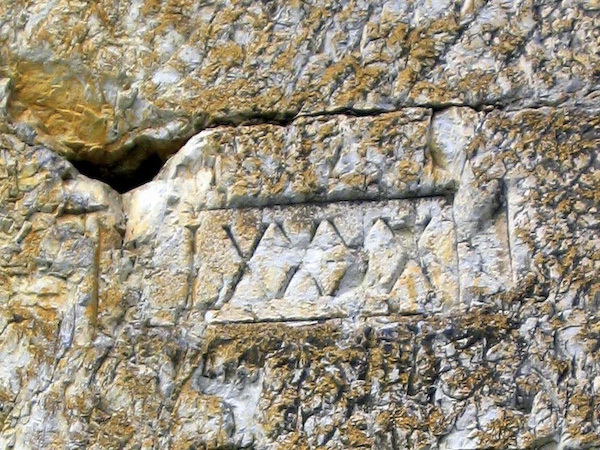 Four hundred years later the cliff was cut back by order of the Emperor Trajan; crisp Roman numerals in the limestone record the progress of the work. 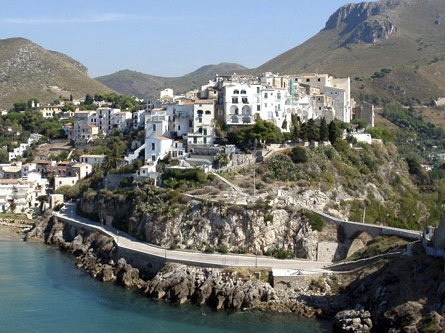 Just down the coast at Sperlonga, the Emperor Tiberius had a sumptuous villa with an adjacent sea cave known as the “Grotto of Tiberius,” where fragments of famous Greek sculptures were discovered in the 1950s; plaster casts and reconstructions are in a nearby museum. 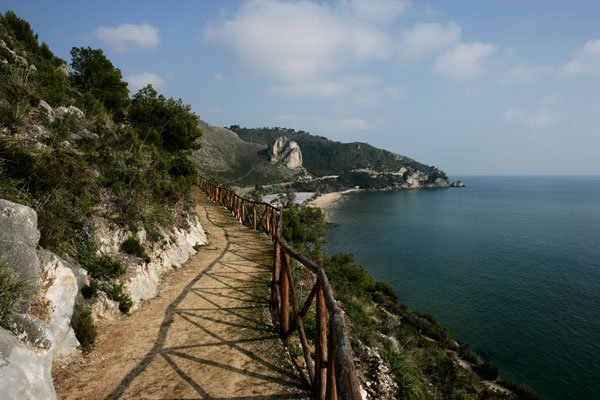 Scenic beaches and paths here make for delightful rambling. For next year Ive designed a new seven-day walking trip with your choice of budget or upscale accommodations. 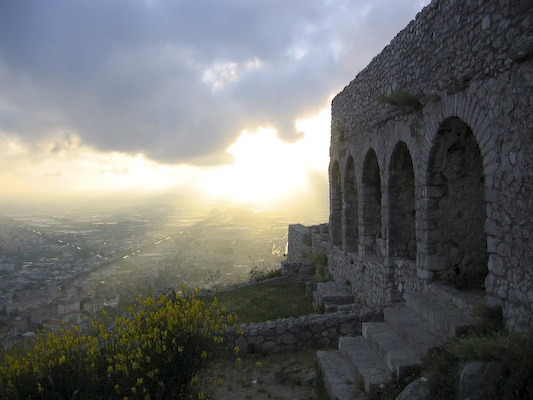 Well visit the lovely medieval towns of Sermoneta and Bassiano, explore picturesque Roman ruins at Norma, Cori, Terracina and Sperlonga, and tour the amazing Gardens of Ninfa, “the most romantic garden in the world.” Join a group or create your own (four to six); daily walks are tailored to guests ambition level. 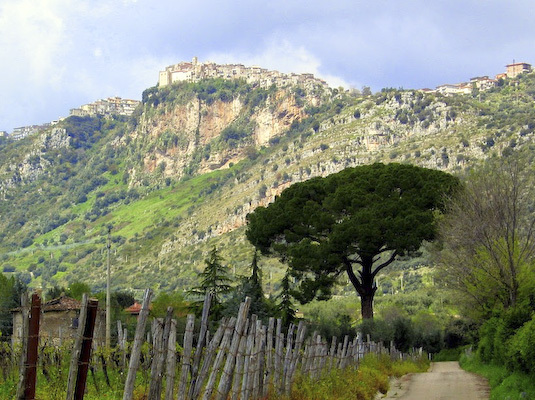 A 7-day walking trip for 4 to 6 guests. 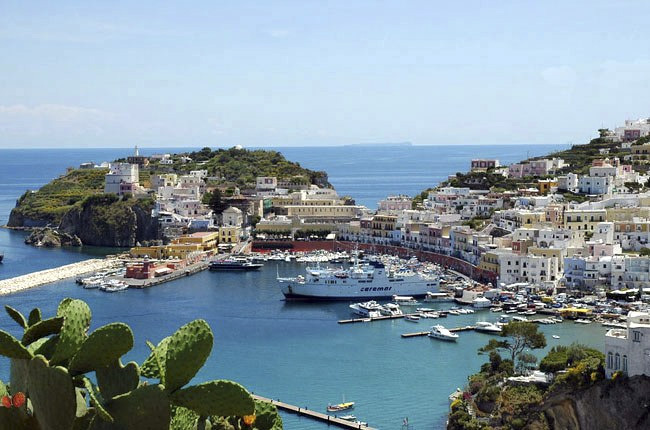 Cost: 1500-2000 Euros per person depending on group size and lodging chosen. Includes daily walks, all meals, lodging and transportation. We meet in Rome and go! Flight to Rome not included. Price based on double occupancy. Write to me for lodging choices and other information. Visit www.romanroadwalks.com or write to me for ideas and assistance. I’ll make it easy.